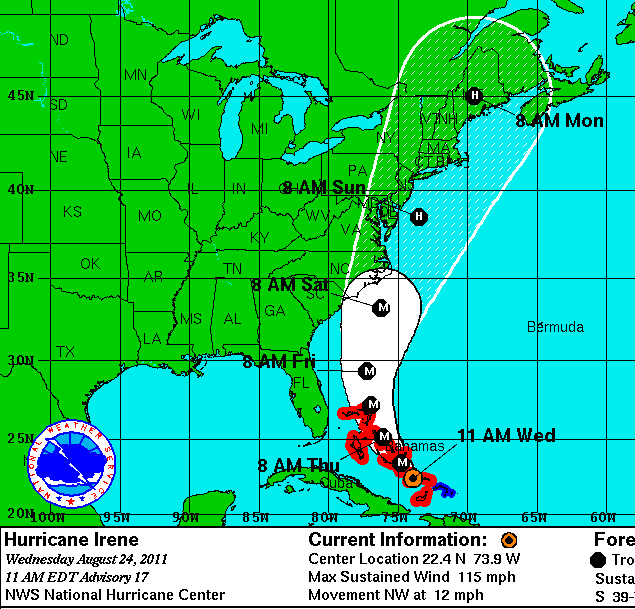 Above is the latest forecast track from the National Hurricane Center. H=hurricane. M=major hurricane. Here is the latest discussion from AccuWeather.